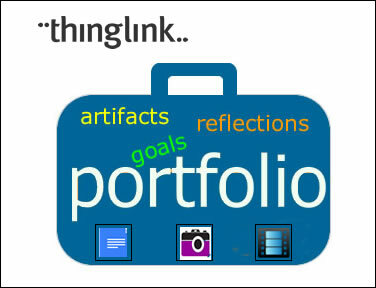 ThingLink is a great tool for creating ePortfolios because students can maintain their own ePortfolios easily and quickly. This keeps the focus on the learning, reflection and growth, not on the technology. Here is how Dr. Helen Barrett’s process aligns with ThingLink as an ePortfolio tool. 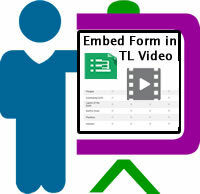 The challenge encouraged educators to embed a Google Form into a video to collect data and feedback from students. Participants were then encouraged to kick it up a notch by embedding their own favorite tools and apps in a video to provide more functionality to power the learning. The results are amazing and the possibilities are exciting. This interactive video, submitted by by Sheri Edwards, includes a live Padlet right inside the video. This adds a level of simple and instant collaboration to a lesson. Since Padlet does not require students to log in, the tech is seamlessly integrated to support the learning and it is in the background. What a powerful way to engage students! Explore this interactive video and contribute to the Padlet yourself. 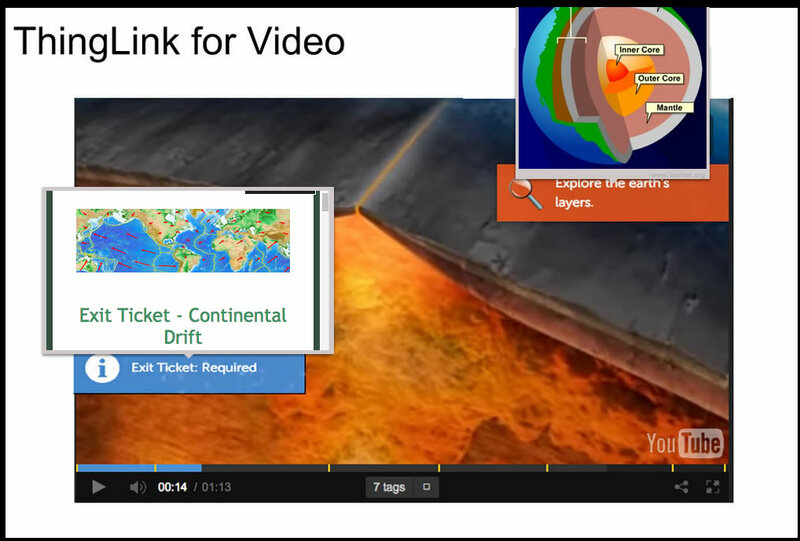 The 6 ThingLink Interactive Videos showcased here are great examples of streamlining the delivery of content through the use of the embed feature. As you explore any of these videos, notice how Google Docs and more 3rd party tools are displayed live right within the video. If you are interested in exploring the powerful possibilities of using ThingLink Video to Engage Students, you might be interested in a few related posts with directions and more examples. After the form is created and published, students do the rest of the work as they turn in a digital assignment. They fill out the quick form and copy and paste the link into the appropriate box. An optional box for comments on the form provides students with the opportunity to speak up about the assignment. This also provides teachers with the chance to personalize the learning. ThingLink is a powerful tool for creating resources that can be reused and easily adapted to meet the changing needs of educators and their students. When users create an interactive image, poster or video, it can be modified as needed by adding rich media resources and replacing content on the spot. Did you know you can replace the background image on a ThingLink while keeping the tags in tact? 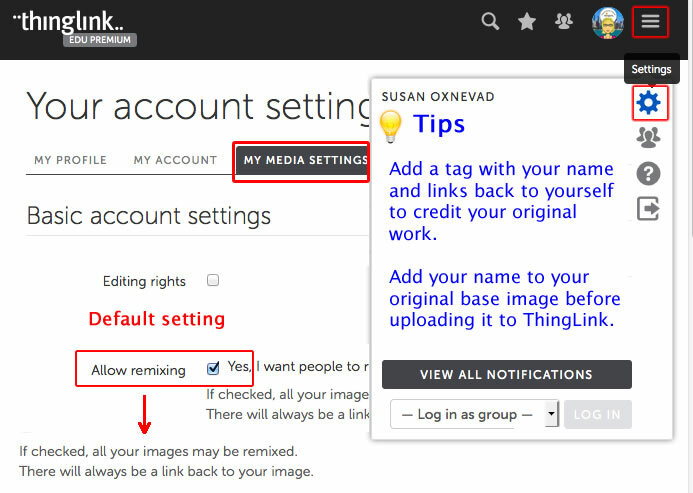 The Replace Image feature, available with ThingLink EDU Premium, allows users to replace the base image of any ThingLink by simply uploading a new one. This is useful for fixing errors on your base image, but it can also be an easy way to transform an outdated resource into something new and useful. In February of 2012 I was very busy blogging and building my digital toolkit of web 2.0 resources. At that time I had already fallen in love with ThingLink, so I created an interactive image titled Flexible Learning Paths to guide the learning during a full day hands on workshop I was presenting. 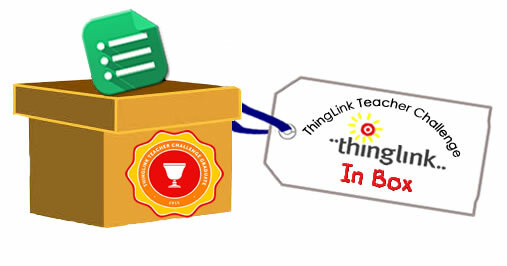 Back then there were no ThingLink features built specifically for educators and there was no ThingLink EDU. In fact, there was only one black circle for use as the icon, known as a “nubbin”. Here is an early model of the Flexible Learning Paths image I built, unfortunately the original no longer exists. This interactive resource provided participants with easy access to my collection of web 2.0 tools during Professional Development and training sessions. Of course, in early 2012 web 2.0 tools were disappearing as frequently as they were popping up. To keep my collection of tools updated, I had to recreate the interactive image to update it with new tools. This took quite a bit of time, but I rebuilt the image at least 3 times from scratch because using this interactive image during training sessions was worth the effort and time it took to update the image and add the tags again. Fortunately, ThingLink introduced the Replace Image feature, making it quite quick and easy to update any interactive image. 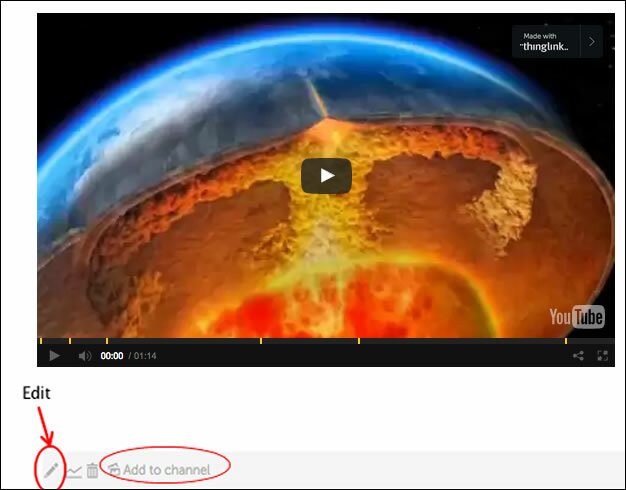 This feature allows users to replace the base image of any ThingLink by simply uploading a new one. 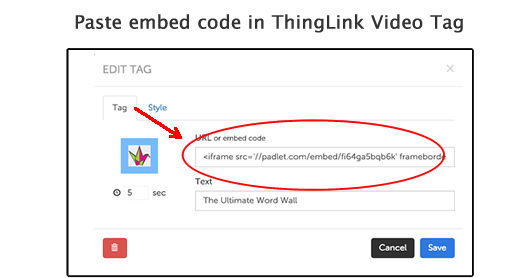 The existing ThingLink tags stay in tact. There is no longer a need to ever rebuild a ThingLink from scratch. The Replace Image feature allow me to easily update this resource in just a few minutes. I simply use an eraser tool to edit my base image, click the Replace Image button below my ThingLink image, and change the outdated tag to update my toolkit. The Replace Image feature makes it easy to build resources that grow and change as I do! 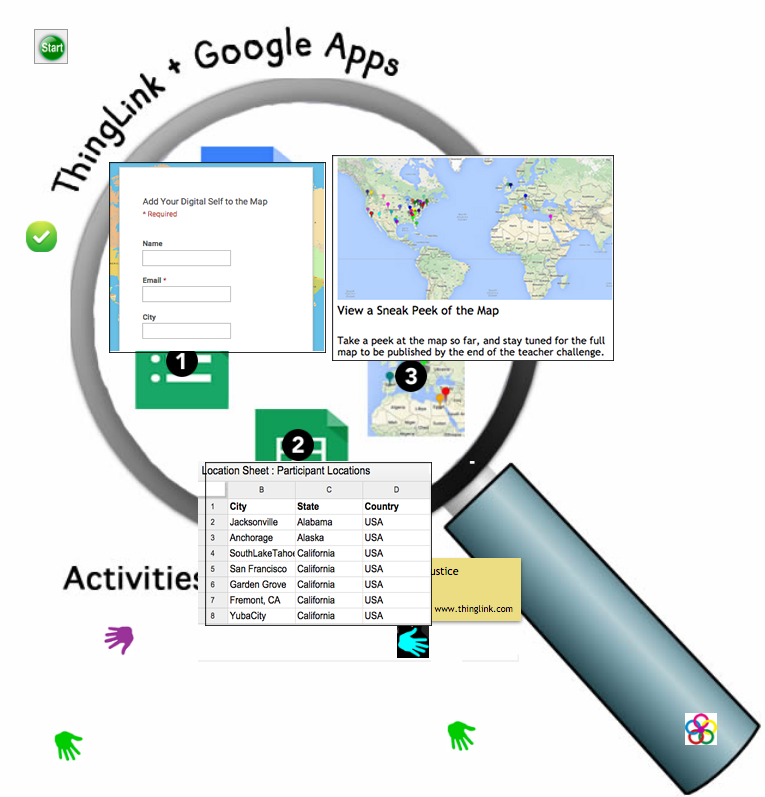 Here is a snapshot of a ThingLink I have been building throughout the Teacher Challenge to collect and share resources related to ThingLink + Google Apps. This interactive image has been embedded in 7 blog posts, according to stats on the ThingLink. It has also been added to the related channels in my collection. Every time I update this image, the changes take place across the web. 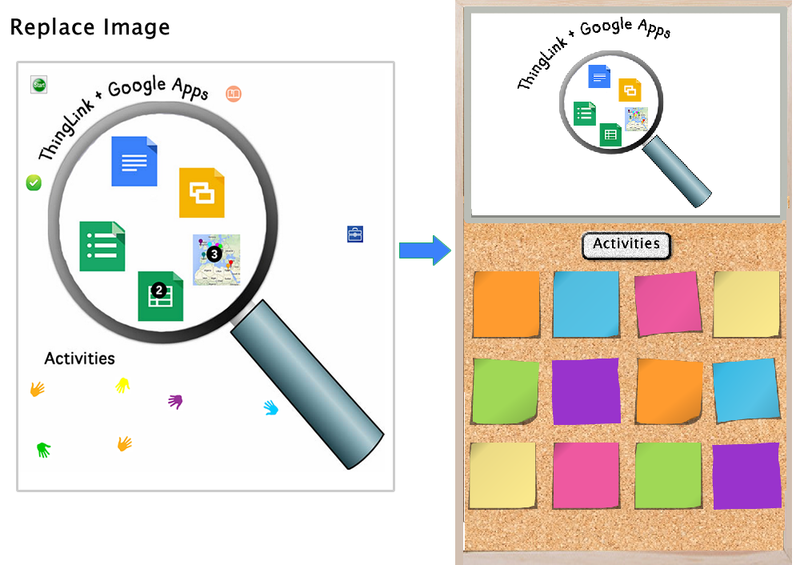 The purpose of this image was to feature a live demo and of a great way to use ThingLink + Google Docs, and also collect examples submitted by teacher challenge participants. The hand icons at the bottom have been added with new resources to highlight as they are turned in. As we progress through the Teacher Challenge, it is time to update the image to better facilitate the growing resource at this stage. Ultimately, this image will change again when it is ready to be finalized. The whole process is efficient because ThingLink facilitates the collection of resources that can change and grow! Here is the new background image I created. Now with the click of a button, this image can be uploaded to ThingLink to replace the original background image. Watch the video demo to watch the process in action. Anyone who embeds this one frequently updated resource into a blog, wiki or website will have quick access to the latest resources. If you use ThingLink + Google Docs in the work that you do with educators, think of how handy it would be to have this collection on hand. Great news! You can embed this image, reuse it and remix it for your own teaching needs! Hopefully visitors will click on the tag near my name and check out my blog, or follow me on Twitter to connect. The Remix feature was designed to facilitate collaboration and sharing of images. ThingLink EDU users can turn this feature off through Settings if you do not want your original interactive images to be remixed. 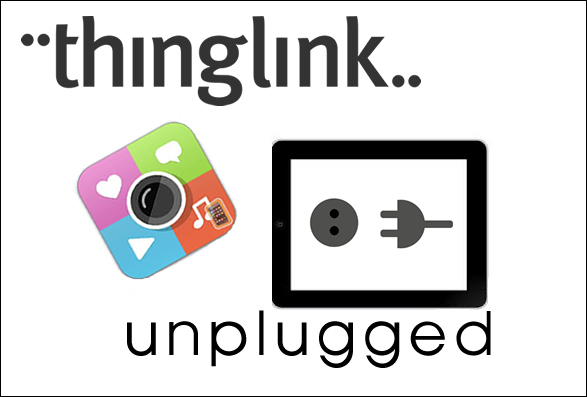 At the end of the 4th week of ThingLink Teacher Challenge, we are excited to share an interactive poster and channel of interactive images featuring 9 ways to use ThingLink UnPlugged. The images were created by teacher challenge participants using the free ThingLink App and a mobile device. These images demonstrate ways to connect with life’s everyday learning opportunities by capturing moments and documenting them through text, images and rich media. We hope you will explore these interactive images and get inspired to create one of your own. 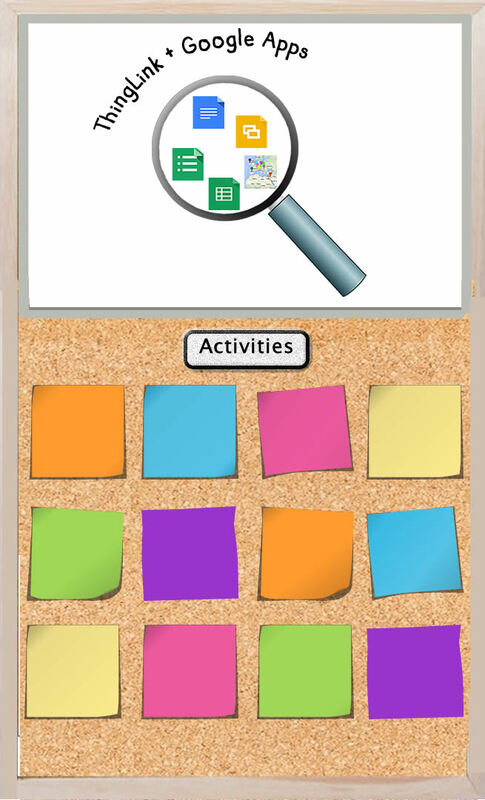 Creating a ThingLink on the go is fun and it is the perfect summer activity for inquisitive educators on the go! This interactive image poster was created for quick access to the 9 UnPlugged interactive image featured here. It also serves as a cover page for a channel of interactive images and resources. To explore any of the images, click on the Magnifying Glass Icon. When the tag opens, click again to explore the original image.